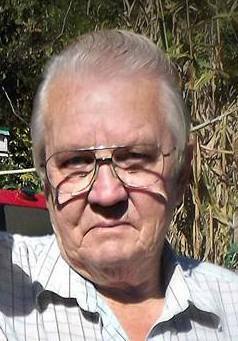 Lloyd Whitt 80, of Phelps, KY departed this life Friday, December 1, 2017 at his residence. He was born December 26, 1936 in Pike County, KY the son of; the late Harless & Rosa Lee Blankenship Whitt. Besides his parents he is preceded in death by his wife; Janie Lea Sanson Whitt, a son; Anthony Darius Lester, brothers; Jerry, Vallas, Archie, Ace & Troy, sisters; Lucy & Orpha. In addition to being a loving father, grandfather, neighbor and friend, Lloyd was a retired coal miner. Survivors left to honor his loving memory include; a daughter; Debbie Wright (David) of Phelps, KY, five sons; Mike Whitt (Jennifer), Kevin Whitt (Wendy), Larry Lester & Hansel Lester all of Phelps, KY & Frank Sanson (Betty) of Ohio, a sister; Julia Wiswell of Ohio, grandchildren; Audrea, Linda, Missy, Stacy, Andy, Derrick, Tonya, Jacinda, Mark, Kelli, Dakota, Mackenzy, Brianna & 16 great grandchildren. He is also survived by a host of other family, neighbors and friends. Honoring services will be held in the Gooslin Bottom Pentecostal Church of God of Phelps, KY, Tuesday, December 5, 2017 at 1:00 P.M. with Pastor; Benny Freeman officiating. Burial will follow in the Whitt Cemetery of Phelps, KY with family & friends to serve as pallbearers. The family will begin receiving friends in the church Sunday and Monday evening at 6:00 P.M.
with special singing at 7:00 Sunday and service at 7:00 Monday.